So, who is it for? You’re used to selecting your facial based on your age, skin type, expected outcome etc. right? Well the HydraFacial flips that approach on its head because it’s suitable for everyone – any age, any skin type, anyone. Because skin health is the primary objective, anyone can benefit from this innovative treatment. The hype around this treatment has been huge, with Karren Brady, a long-standing fan of the treatment, fronting the latest campaign, the HydraFacial has become a staple treatment for TV Presenters looking for “HD skin”. And it’s not only TV Presenters who are HydraFacial converts, with a celebrity following including Beyonce, Kate Winslet, Suki Waterhouse, Brittany Snow and Eva Mendes, surely their glowing skin is testament to the HydraFacial (and admittedly maybe a little Photoshop). ….Pretty bold claims, even for a fancy looking machine. The treatment, although it sounds weirdly futuristic and scientific, is actually very relaxing. It started (and finished) with a hand-held tool (and a machine that looks like a robot from the future) used to create a vacuum seal on your skin to encourage lymphatic drainage and open up pores, the light suction on the surface of the skin is strangely soothing. 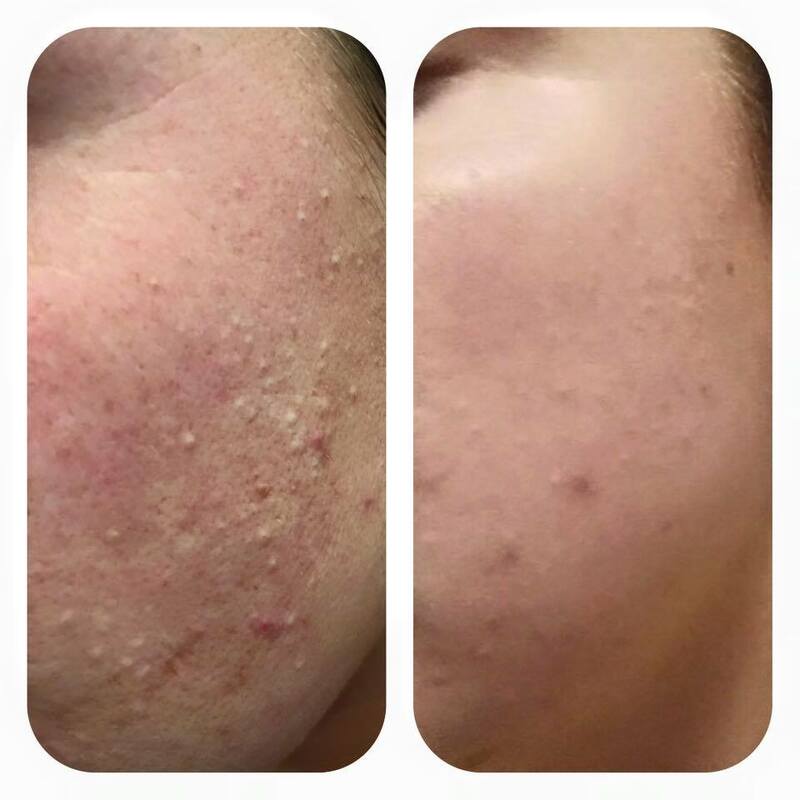 Kayleigh regularly chips in with information about the science behind the treatment and how it was developed as well as the benefits I’m likely to see over the coming days including softer, smoother and more radiant skin. The treatment takes around 40 minutes to complete and in that time, unless I hadn’t read up on it in advance, I’d have had no idea that I was being extracted, peeled and exfoliated with the Doctor Who like gadget; the whole experience is relaxing, soothing and pain-free (in fact, I may even have fallen asleep at one point but then that’s pretty standard for me). When Kayleigh begins the Vortex-Boost phase of the treatment which aims to “push” nutrients and peptides directly into the freshly peeled skin, there’s a cooling sensation and my skin feels as if it’s physically plumping and in my head I’m convinced that it actually is…..
At the end of the treatment, Kayleigh tells me my skin is glowing, I’m asked to sit up slowly and handed a mirror. I’m actually really surprised at the visible difference after just one HydraFacial treatment, my skin is definitely brighter and it looks fresh and clean. Like Kayleigh said, it’s definitely glowing and it feels like baby skin. Kayleigh points out specific areas of my skin and tells me exactly what’s been done, which are areas of concern and advises that I must drink lots of water and wear SPF for the next few days to protect my freshly exposed skin. As I make my way down to the clinic reception, the Therapists come out from behind the counter to coo over my glowing complexion and they tell me that I look “radiant” so naturally I leave with a smile on my face and a spring in my step. Later that evening, I attended a big showcase event at Bonbar in Newcastle and I went make up free (something I never do unless I’m working out) to avoid clogging up my freshly decongested pores because my skin looked so good. The HydraFacial is something that can be done as a one-off treatment for a special occasion or event and unlike other facials, you’re not likely to suffer a breakout in the following days, in fact, quite the opposite, skin is said to improve the day following the treatment. It can also be “prescribed” as a course if you have problem skin, or a particular issue you’d like to work on such as acne or rosacea but it’s pricey – it’s serious stuff and there’s actual real life science to back up its claims. In London the HydraFacial is available (and regularly snapped up) and an eye-watering £230 per treatment and the cast of Made in Chelsea are regular devotees. 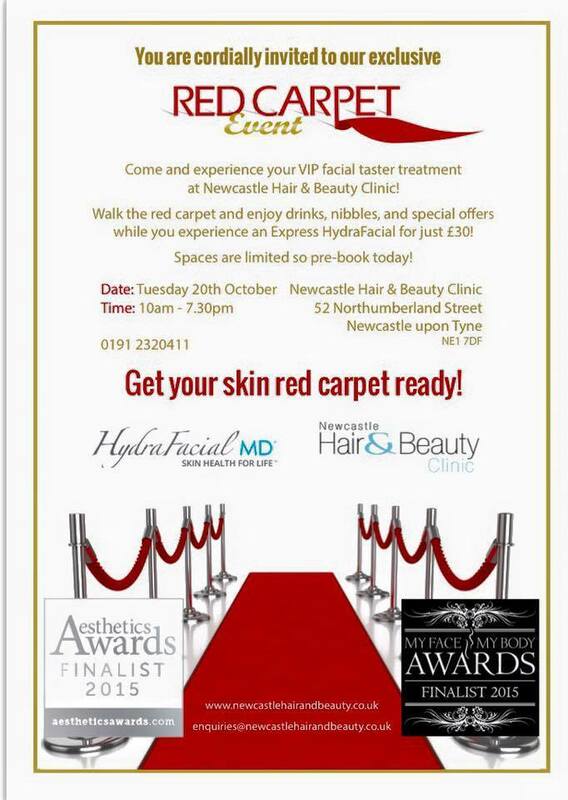 However up here in the North East, the treatment is brand spanking new and Newcastle Hair and beauty Clinic are offering it for £120; that’s not a special offer or a discounted price, that’s just the regular price Voyeurs. One thing I have to hand to Newcastle Hair and Beauty Clinic is their knowledge, and enthusiasm for each new treatment they add to their already impressive menu – the Therapists here are passionate about beauty and they’re excited to learn about new and innovative beauty treatment methods. They’re a long time collaborator of mine and there’s a reason for that – I trust their expertise, and so should you. The clinic is the longest standing beauty clinic in the City and with a few recessions and some hard times hitting the UK over the years, that’s a pretty impressive feat.